In today's world, there is a diet or meal plan to fit your needs or your desired results. We've seen everything from the Atkins program to a gluten-free lifestyle and everything in between. Then came the Whole30 that took the world by storm with its strict Paleo nature, showing people how to fall in love with whole foods and what their bodies would do if fed well. How can one choose which diet plan or food lifestyle is the one for them? It's simple: education. If you've been through the runaround with the fad diets, maybe it's time for a complete lifestyle overhaul with a ketogenic diet. This is a low-carb, high-fat diet that is similar to the Paleo diet and Atkins. One of the misconceptions of keto living is that the classic ketogenic diet isn't based on physiology. 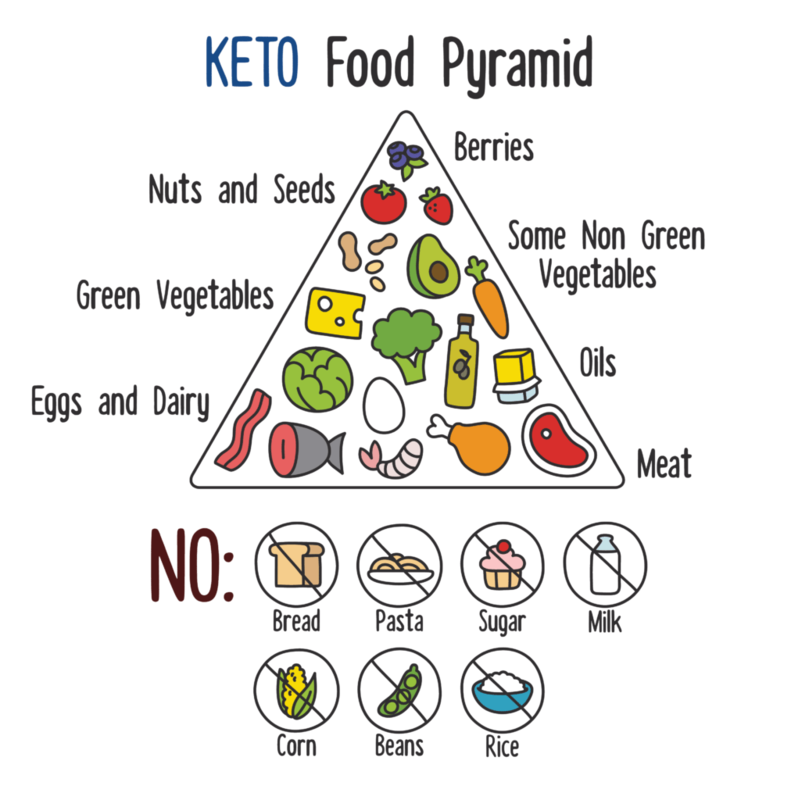 A ketogenic diet is based on the science of ketosis, the natural state of the body when it's running off fuel from body fat rather than being in a state of glycolysis, where the body runs off blood glucose levels for most of its energy. This is how the body begins burning fat. Where the Paleo and Atkins diets are both low-carb diets like the ketogenic diet, ketosis is strictly based on the scientific response of your body to a low-carbohydrate diet. It offers a healthier long-term solution to dieting that works as an alternative, modified Atkins diet, with a healthier body response. The advantages of a low-carb ketogenic diet, also known as keto or LCHF (low-carb, high fat), range far and wide. It's primarily known to reduce the risk of diabetes by normalizing blood sugar levels and insulin levels, heart diseases, and stroke. It was created in the 1920s to aid those with epilepsy. Today, it's used by many in the health and fitness industry to get back on track after a vacation or a slip up on one's dietary plans. It also aids in weight loss, as well as increasing one's physical endurance and mental focus. If you didn't think food could affect your mental clarity and well-being, it's time to think again. For your body to hit ketosis, one of the main goals of the ketogenic diet, your body must rely heavily on fat rather than carbohydrates, a dietary change that is fairly easy to make. While a low-fat diet will leave you with low energy levels, a high-fat diet has the opposite effect, and the higher protein intake and lower carbohydrate intake means you experience an elevated level of alertness. Say goodbye to brain fog, and hello to high levels of mental performance. When you hit the metabolic state of ketosis, your body begins to rely on those high ketone levels, created by molecules produced when you include low-carb foods in your calorie intake. This allows your body to feed from healthy fat and use its current fat intake as an energy source, which results in fat loss from fat stores. With a low carb intake, the ketogenic diet plan is structured to turn your body into a fat-burning machine by taking advantage of its natural function for effective weight loss. While it's been proven to help those with epileptic struggles to those with cancer, you should always consult a doctor before drastically changing your diet at home for an extended period of time. When it comes to ketogenic dieting, participants focus on dairy, nuts, fatty meat or fish, hard-boiled eggs, and dark chocolate. With the dark chocolate, make sure it's at least 90 percent cacao to be keto-compliant. Intrigued, confused or looking for a way to implement the keto way of life into your current lifestyle? Try your hand at one of the recipes below for a week or so, and let us know the changes you've felt along the way! Never did a fat bomb ever look so good as it does with this peanut butter fluff. A simple mix including heavy whipping cream, peanut butter and stevia make this easy-to-make breakfast or afternoon snack possible. There's no doubt this will revolutionize what you thought a 'diet' was. Pair with a bulletproof coffee, and you'll be set for the day ahead. Get the recipe here. Just because you can't have pasta doesn't mean you should have to suffer. This dish resembles a heaping bowl of macaroni and cheese without the guilt and the carbohydrate foods. Plus, you get to indulge in all of the bacon. Who could be mad at that? Try your hand at this recipe here. Just because you can't indulge in the deep-fried life of your standard egg roll doesn't mean you can't recreate your favorite menu item. Simply combine everything from cabbage to carrots and your choice of beef or pork together, add liquid aminos, and enjoy! What are liquid aminos, you ask? They're non-fermented essential amino acids that contain .5 grams of protein per teaspoon serving. This is a great soy sauce alternative for those looking for that great taste without the sodium and its general lack of nutritional value. If you're partaking in a Whole30, you can have coconut aminos--another soy sauce alternative that boasts the same great taste without the soy component and empty calories. Get your aminos on and try the recipe here.